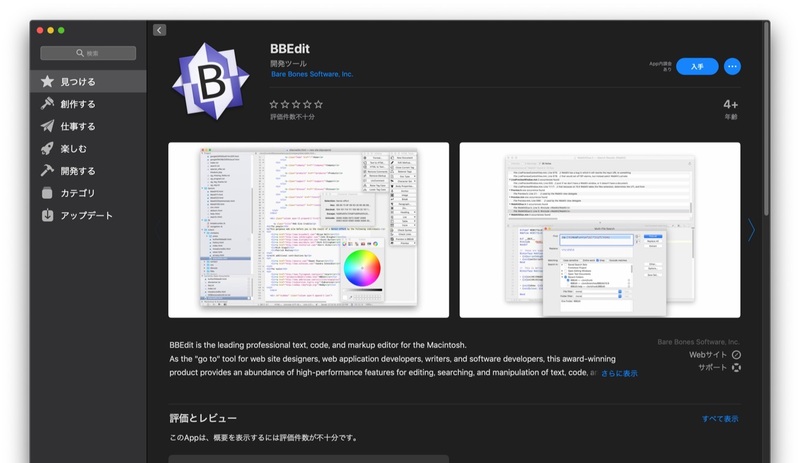 Bare Bones Softwareの多機能テキストエディタ「BBEdit」が約4年半ぶりにMac App Storeに復帰。 | AAPL Ch. Thanks! It's great to be back. BBEdit 12 features more than three hundred new features and refinements since the last Mac App Store release of BBEdit. 64-bit accelerated, Mojave ready with Dark Mode support, Git integration, and so much more. In the spring of 2018, Bare Bones and Apple announced that, subsequent to the release of macOS Mojave (10.14) and the accompanying refresh of the Mac App Store, BBEdit would be returning to the store. 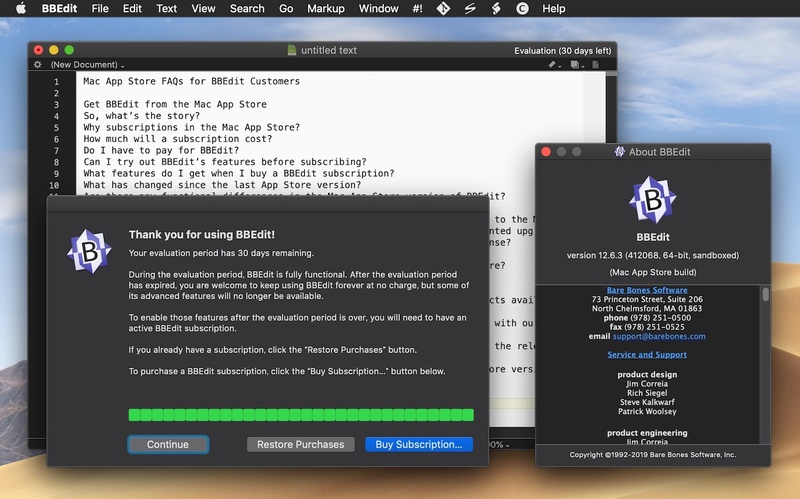 Do I have to pay for BBEdit? If you purchase a BBEdit subscription, you will get features that aren’t available in Free Mode: web authoring tools, Git and Subversion integration, code completion, Clippings, the Scratchpad, shell worksheets, and much more.